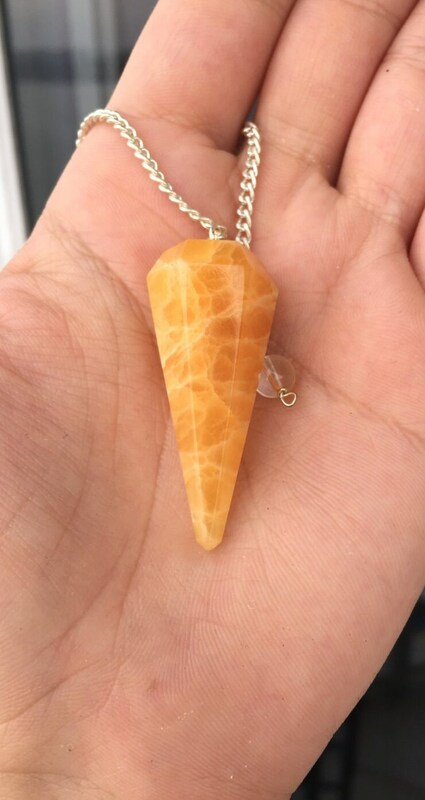 These beautiful Golden Quartz Pendulum has a beautiful of a deep yellow color with swirls of light white quartz as seen in pictures. 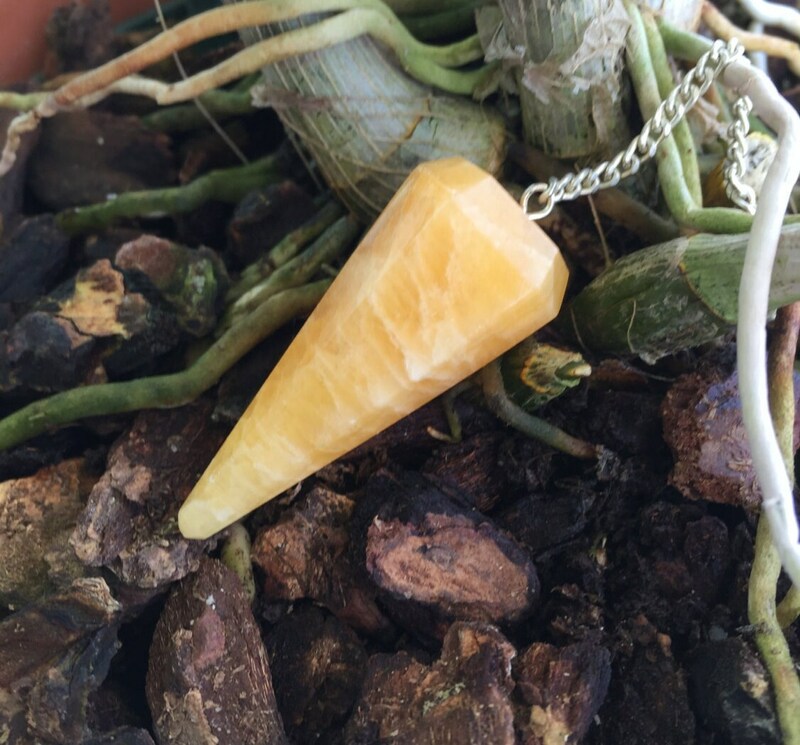 Golden Quartz is best known as a stone of success. It can help increase one’s self confidence, creativity and bring success in business and ventures. 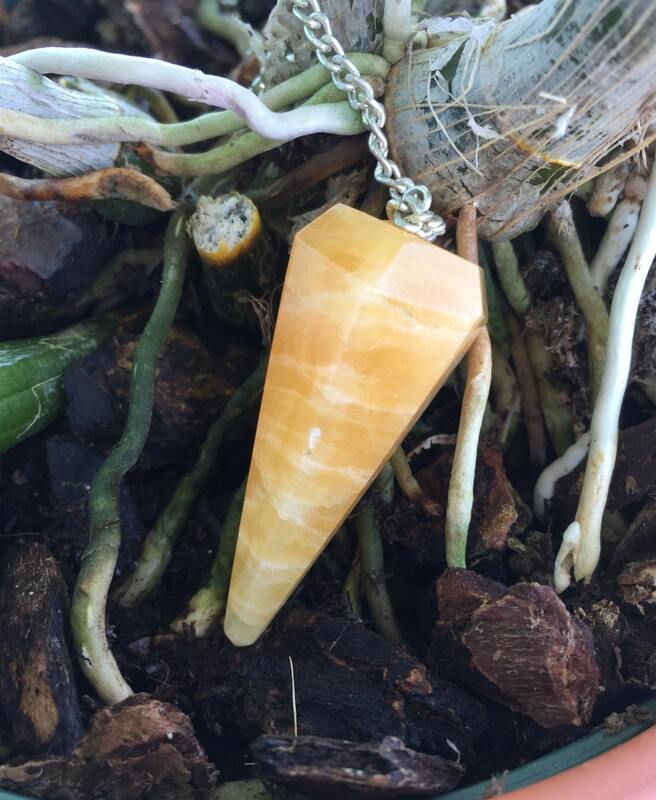 Golden Quartz an excellent protective, energising and powerful cleansing crystal. 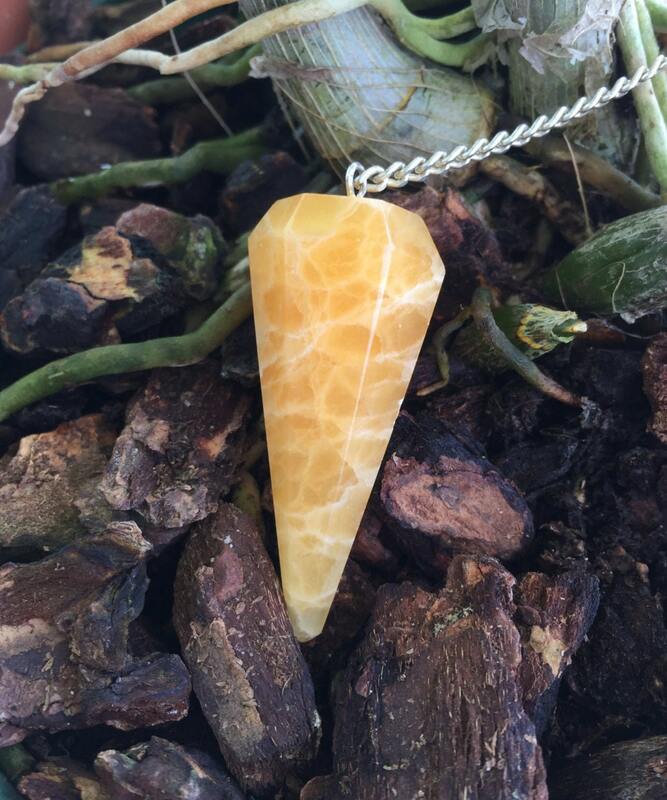 It has a blend of is powerful healing as it allows the golden light of Life Force to flow into your body and through your Aura & Chakras. The energy then spreads its golden light throughout the body as it clears blockages and imbalances and allows you to radiate positive loving energy.